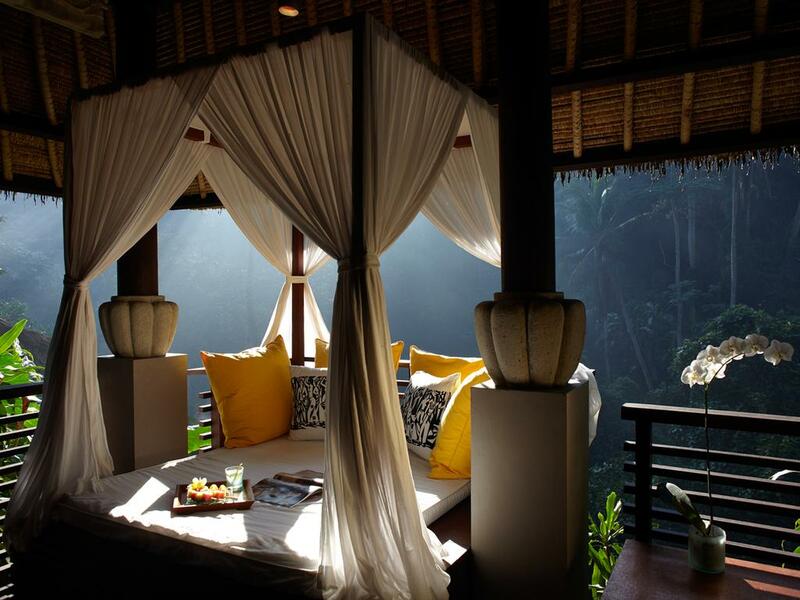 Maya Ubud Resort & Spa is bordered by the Petanu River valley to the east and the verdant rice fields of Peliatan on the west. The ten-hectare tract of land is a tranquil haven of tropical gardens and 108 architect-designed thatched private pool villas and luxury guestrooms. 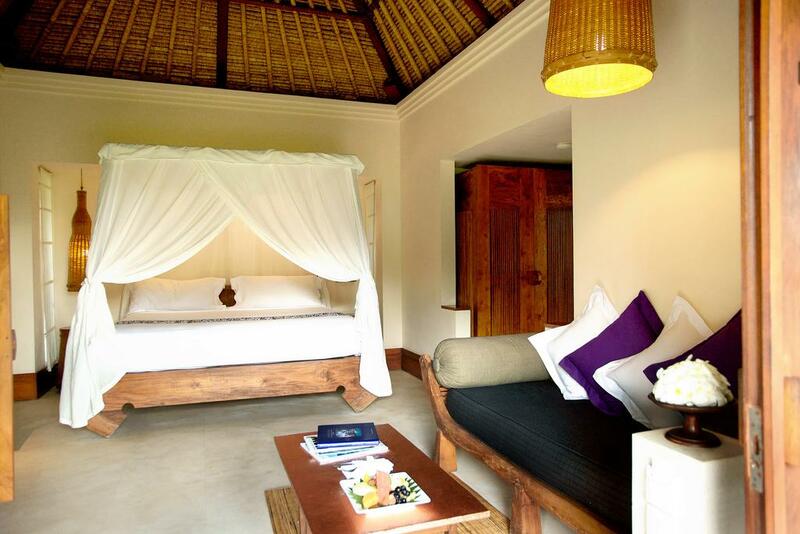 Travelling time from Bali’s international airport to Maya Ubud is around one hour. 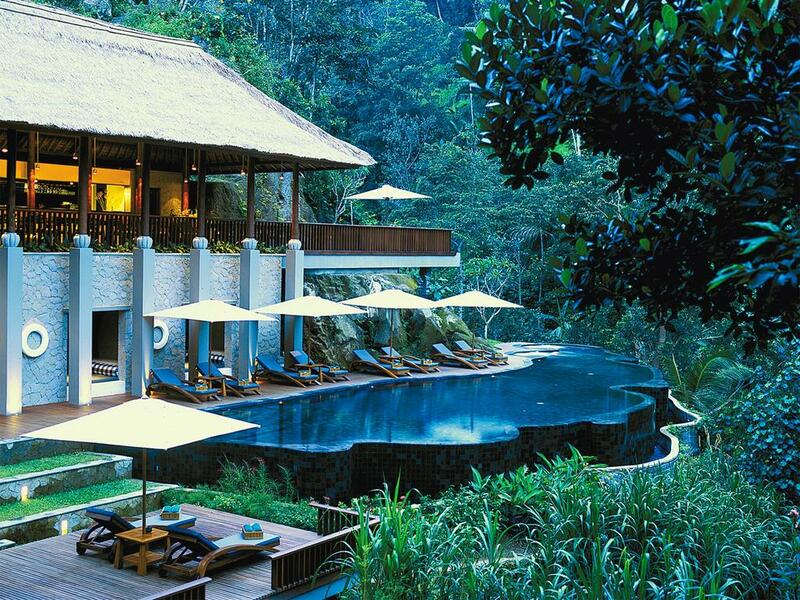 Nestled along the river bank is The Spa at Maya, with private double and single treatment pavilions. 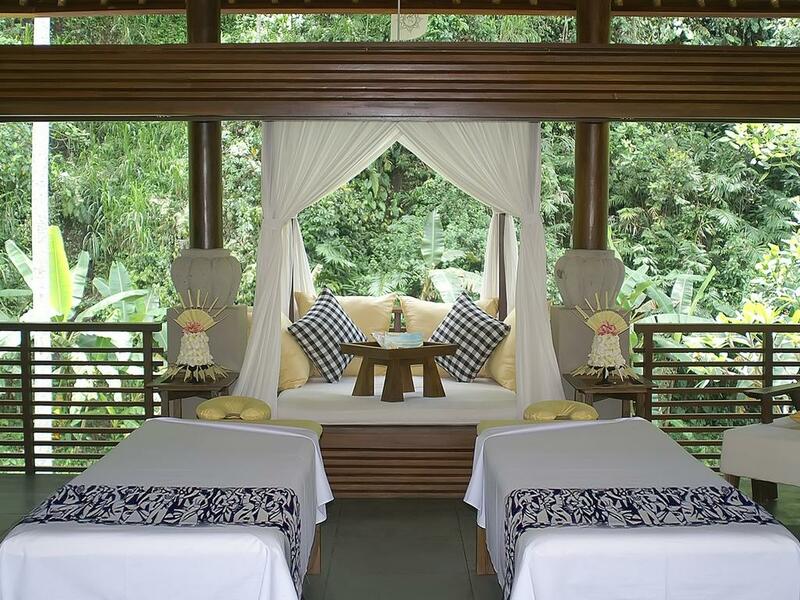 It offers exotic sensory journeys and revitalizing treatments that refresh body and soul, plus there is a dedicated riverside deck for reflexology. Dining alternatives include Maya Sari for all-day dining; Asiatique offers regional cuisine of Thailand, Japan, China, India and Indonesia, and a teppanyaki counter. 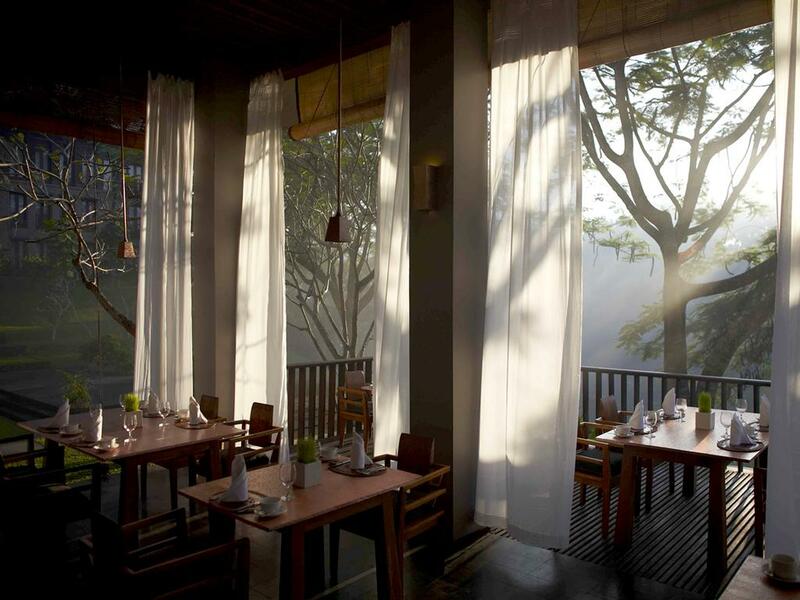 The River Café has a menu that includes healthy spa cuisine and snacks, delicious pasta and pizzas. 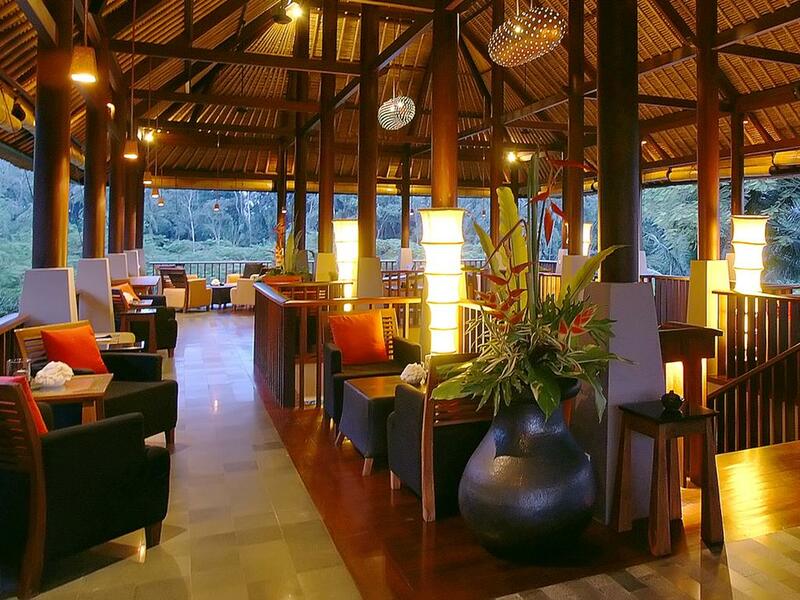 Bar Bedulu is a breezy bar off the main lobby. The open-air Purnama Theatre presents professional cultural dance performances and dinner. 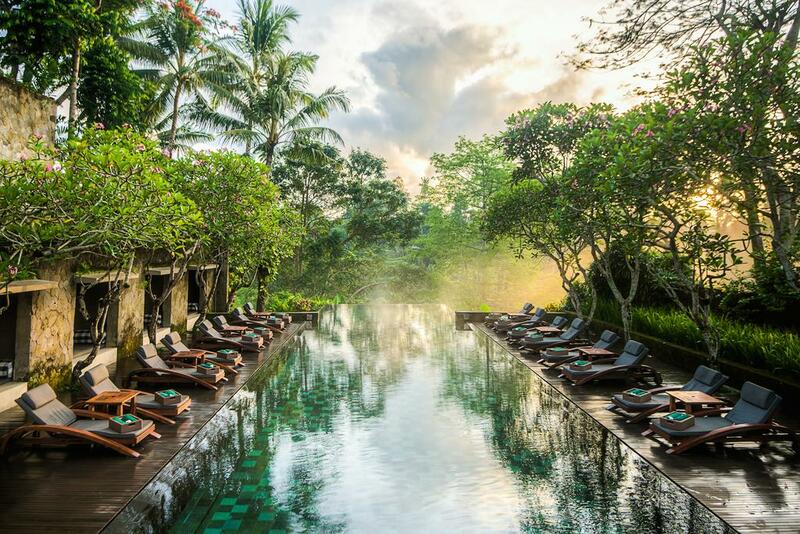 Among the many recreation facilities at Maya Ubud are two swimming pools, tennis court, golf putting green, yoga pavilion and gym. 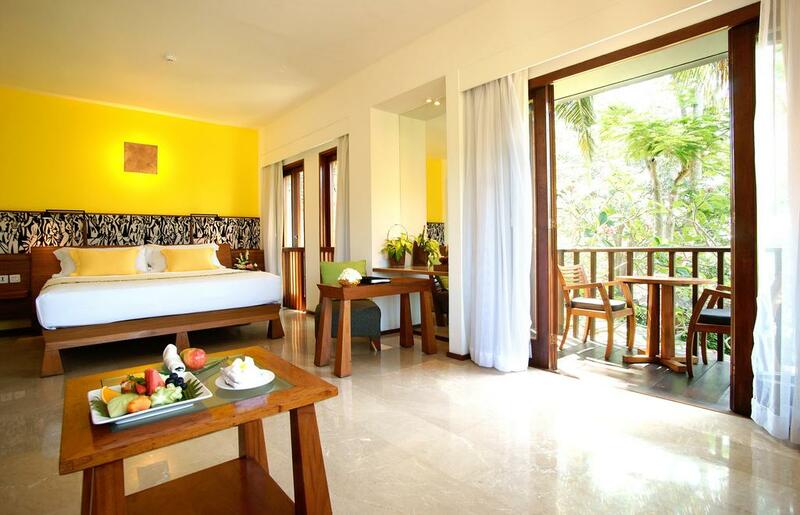 Activities include nearby village trekking, nature excursions and mountain biking. 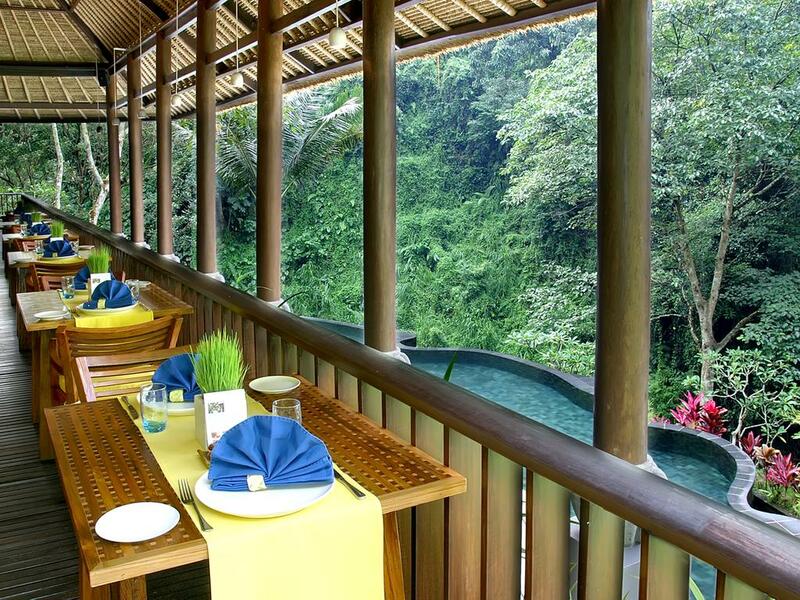 A complimentary shuttle bus service between the resort and Ubud township is available on the hour from 9.00 am through 5.00 pm every day.